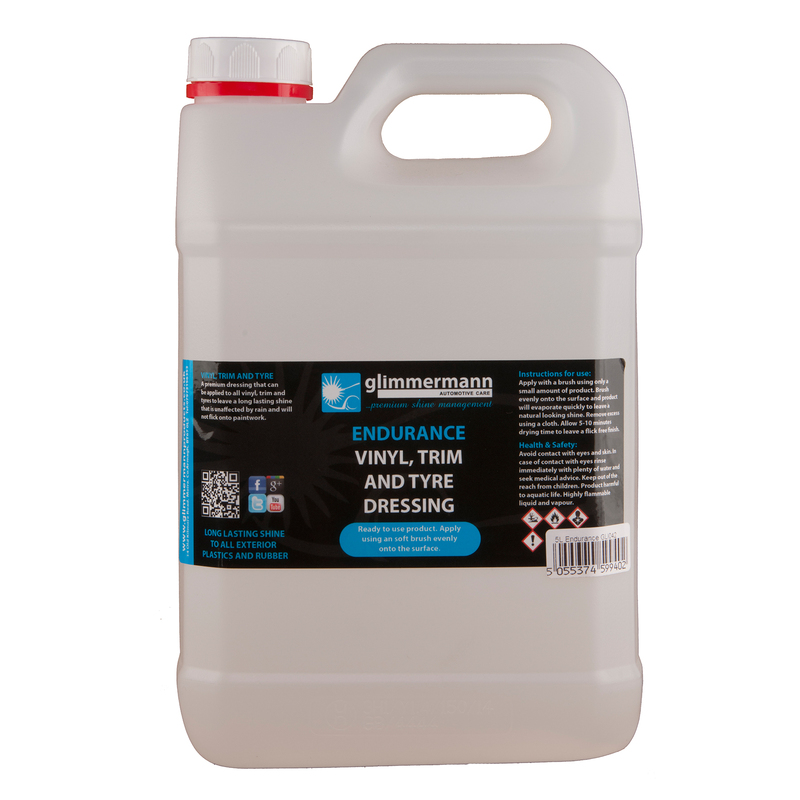 A premium dressing that can be applied to all vinyl, trim and tyres to leave a long lasting shine that is unaffected by rain and will not flick onto paintwork. Apply with a brush using only a small amount of product. Brush evenly onto the surface and product will evaporate quickly to leave a natural looking shine. Remove excess using a cloth. Allow 5-10 minutes drying time to leave a flick free finish. Avoid contact with eyes and skin. In case of contact with eyes rinse immediately with plenty of water and seek medical advice. Keep out of the reach from children. Product harmful to aquatic life. Highly flammable liquid and vapour.